Today’s news review looks at our reforms to GCSEs and the teaching of water safety in schools. The department has made a range of reforms to GCSEs in order to make them more rigorous, more relevant to further study and the world of work and to ensure that more pupils are studying those GCSEs that employers desire. 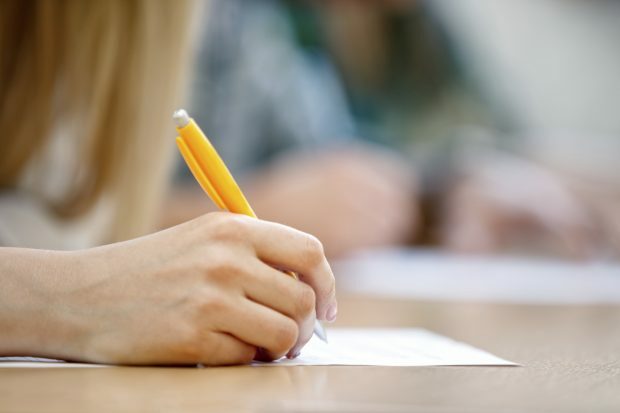 Among those changes are a new grading system, which will see pupils awarded a grade from 1 to 9 to better recognise the achievements of high performing students and distinguish the new, more challenging GCSEs clearly from predecessor qualifications. On Sunday, 16 July, Ofsted Chief Inspector Amanda Spielman was interviewed by The Sunday Times about the new GCSEs. In her interview she suggested that our reforms could lead to some subjects, particularly arts subjects, being marginalised – despite there being no evidence that this is the case. The English Baccalaureate (Ebacc) leaves room for students to study other subjects outside of compulsory ones. As well as this, the department expects all schools to offer options outside the EBacc, so that pupils have the opportunity to study subjects that reflect their own individual interests and strengths. The EBacc is a key part of our drive to extend opportunity for all and is already helping children, particularly those from disadvantaged backgrounds, to benefit from a rigorous education. It is designed to keep pupils’ options open for future study and employment. There is no evidence that entries in arts subjects have declined as a direct result of the introduction of the EBacc performance measure. Since the EBacc was announced, the proportion of pupils in state funded schools taking at least one arts subject has increased from 45.8% in 2011 to 48% in 2016. On Saturday, 15 July, The Times and BBC Breakfast covered a call from the Local Government Association for water safety to be taught in schools amid concerns of young people suffering from cold water shock when swimming outdoors. What the LGA doesn’t state is that primary school children are already taught about water safety as well as being taught how to swim. Although the department does not seek to tell teachers exactly how they should do this – we believe teachers themselves are best placed to do this – it’s clear that cold water shock can form a part of this. Swimming is a vital life skill and that’s why pupils are taught to swim and about water safety at primary school. Swimming and water safety are compulsory elements of the PE curriculum Key Stages 1 and 2. For more information on our reforms, see this speech from Schools Minister Nick Gibb. For more information on our reforms, see this speech from Schools Minister Nick Gibb.